It takes a knowledgeable professional to properly service and repair a BlackBerry smartphone or wireless handheld device. At Computer Answers we have succeeded in staying up-to-date with all the changes BlackBerry has gone through over the years. We put the time in so we can save you time when you need a BlackBerry repair. BlackBerry released its first smartphone back in 2003. By integrating email, texts, the internet and telephone services, BlackBerry became the industry leader. 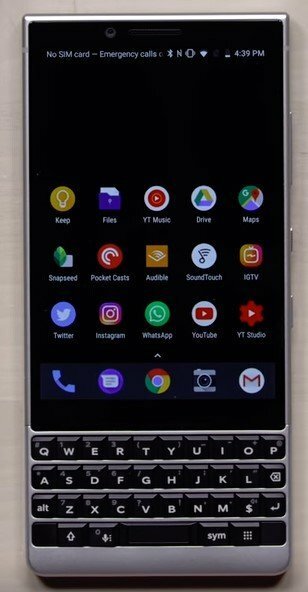 Starting in 2013, BlackBerry started to phase out its physical keyboard with the Z10 smartphone, although it still produces the BlackBerry Classic for users who prefer the QWERTY system. The operating system has also changed from the BlackBerry OS to more popular Android versions. Whether you prefer touchscreen or keyboard, no matter what OS your BlackBerry is running, Computer Answers is the place to turn to when you need smartphone repairs. We can repair anything that has gone wrong, whether it is a keyboard button, a broken charger, or a software issue. You’ll see a list of repair issues below. Whether your problem is on that list or not, your first step in getting your BlackBerry running properly again is to contact us. You can drop in to one of our five Computer Answers repair centers, use our Contact Form, or just call us. We’ll analyze your BlackBerry for free. Contact us now!